>>their special purpose function to a generic function. 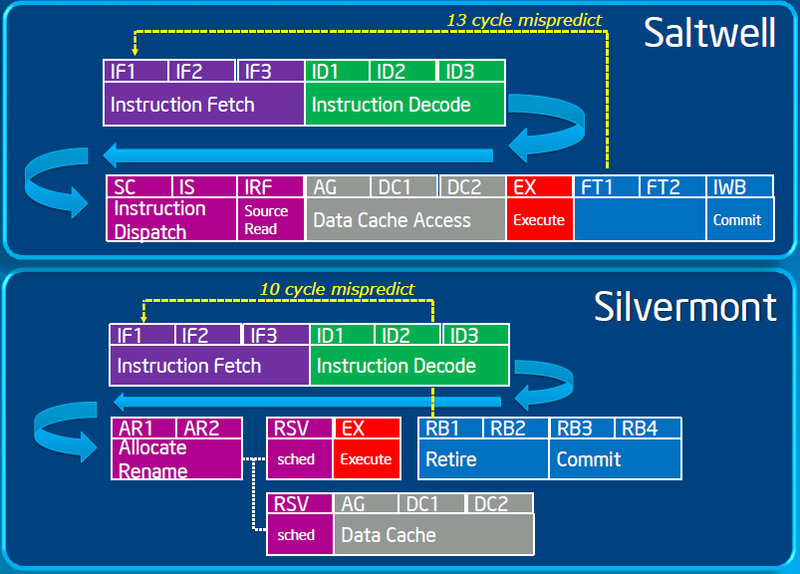 >>multiple cycles, but those instructions where normal instructions and nothing fancy. >>way. And you don't need the extra costs in decoding phase with use of those. >more than a bandwidth/latency problem? Actually that was my way of saying that ancient methods of rewriting ISA, doesn't really help. Since they are pretty much more restricted way of doing same thing as a normal function call. What was proposed in this board was something that (you couldn't really combine with OoOE and normal programming model )OR( would hamper instruction latencies so badly that it would be huge net loss). If people would give up "normal" programming model then there would be lot of different kinds of architectural models available. And those ideas I considered best while keeping atleast relatively normal programming model to make support for C language impossible. Don't remember the details it was long time ago that I evaluated those. Jouni Osmala (josmala.delete@this.cc.hut.fi) on September 29, 2009 11:05 pm wrote: > >>Now you want to add a second order programmability over those millions of transistors > >>already required to do the work of making first order programmability, by turning > >>their special purpose function to a generic function. > >> > >> . . . > >> > >>The ancient method of providing ISA programmability to programmers was that they > >>could turn couple of instruction to multiple instructions that would be issued over > >>multiple cycles, but those instructions where normal instructions and nothing fancy. > >>But JMP instruction +instruction cache does the same function but in a more generic > >>way. And you don't need the extra costs in decoding phase with use of those. > > > >So, IOW, with current ISA(s), providing a "second order programmability" is nothing > >more than a bandwidth/latency problem? > > Actually that was my way of saying that ancient methods of rewriting ISA, doesn't really help. Since > they are pretty much more restricted way of doing same thing as a normal function call. What was > proposed in this board was something that (you couldn't really combine with OoOE and normal programming > model )OR( would hamper instruction latencies so badly that it would be huge net loss). > > If people would give up "normal" programming model then there would be lot of different > kinds of architectural models available. And those ideas I considered best while keeping > atleast relatively normal programming model to make support for C language impossible. > Don't remember the details it was long time ago that I evaluated those.